A Levi’s Call alert has been issued for missing 14 year old Ayvani Hope Perez from Clayton County who was kidnapped from her family’s Ellenwood home early Tuesday. The 14 year old was abducted following a home invasion. According to accounts, two armed men broke into the home and demanded money and jewelry. The mother did not have any money so they shot the dog and kidnapped the 14-year-old. 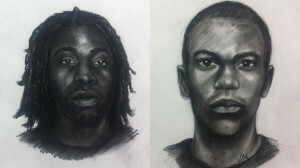 The two suspects, described as two black males are said to have gotten away in a gray Dodge. 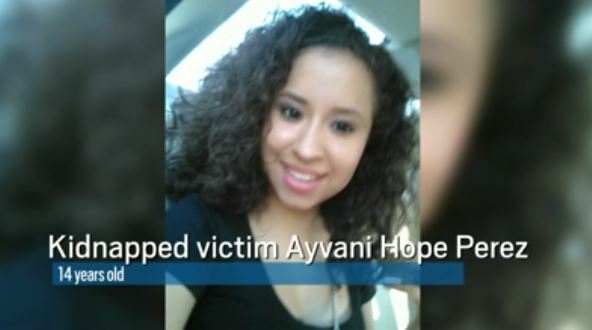 Ayvani Hope Perez is considered to be in extreme danger. According to the alert, Ayvani Hope Perez was kidnapped by two armed men during a home invasion in the 3800 block of Brookgate Drive. Clayton County police spokesman Phong Nguyen told The Atlanta Journal-Constitution that the suspects pried open a back door of the home about 2:15 a.m. He said the mother tried to hide her two children, but the gunmen found the family, along with the family’s dog, and demanded money and jewelry. “She did not have any money and jewelry so they shot the dog and kidnapped the 14-year-old,” Nguyen said. The teen was last seen being taken from the home in a gray Dodge. Ayvani, who is 4 feet, 9 inches tall and weighs 93 pounds, is Hispanic and has brown eyes and black hair. She was wearing blue and gray Star Wars pajama bottoms and a blue and gray “Super Hero” shirt. UPDATE I: Home invaders demand $10,000 ransom for kidnapped 14 Year old Ayvani Hope Perez. Family members said Tuesday afternoon that alleged home invaders who kidnapped a 14-year-old girl from her Clayton County home have demanded $10,000 ransom for her safe return. Police have issued a Levi’s Call alert for Ayvani Hope Perez, the two men, and a gray Dodge vehicle. Anyone with information on the girl or the suspects should call 911 or Clayton County police at 678-610-4781. UPDATE II: Abducted Georgia girl, 14, found alive. Two suspects, Juan Alberto Contreras-Rodriguez, 40, and Wildrego Jackson, 29, are in federal custody. 14-year-old Georgia girl kidnapped by two gunmen during a home invasion early Tuesday has been found alive, officials said. Ayvani Hope Perez was in good health, officials said, and was being evaluated on Wednesday afternoon.